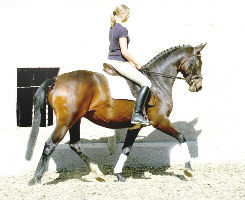 Beloved is equipped with an excellent character and three very good basic movements. At free jumping she has a first-class manners and fortune. 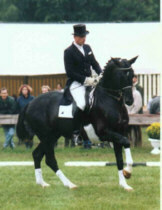 Beloved's father "Kostolany " has succeedet in dressage competitions up to Kl.S. 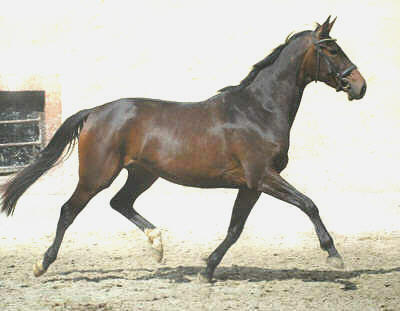 He is also father of the international Grand Prix winner Gribaldi, Showmaster, Shannon TSF and grandfather of Blue Horse Matiné, Painted Black etc.. 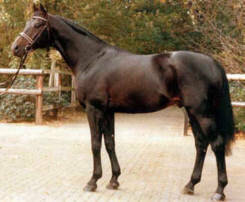 Her dam "Bell-Air" is Winner Foal-Championships of Germany, Katzenelnbogen 1992. 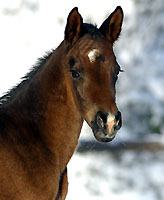 Her granddam, state premium mare "Illuna" was at several Broodmare-Shows in Germany exellently placed, among others the German National Broodmareshow at Verden. 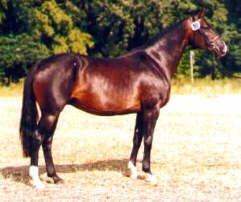 She is dam of several price-hits at different sales. 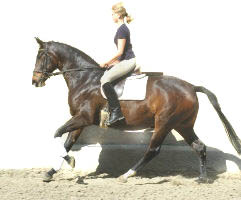 She is dam of "Ultralite" (USA), successful in Dressage-Competitions up to Grand Prix, "Royal Star", aproved at the Westfalian Stallion Selection 1996 and sold for DM 350.000,--. 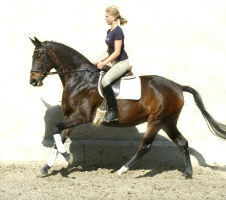 Her 3.dam "Ballerina" is dam of "Zampano", twice German Champion Showjumping.